Infrastructure and inequality have become bywords in contemporary American politics. And according to Penn State Associate Professor Peter Aeschbacher, this important national movement got an early start in Pennsylvania. He argues that the impetus for community design centers — like the three in the Commonwealth — has roots in a fiery keynote address from civil rights activist and National Urban League head Whitney Young at the 1968 national convention of the American Institute of Architects (AIA). Young pointed to public housing developments he termed “vertical slums,” lacking adequate bathrooms, with no play space for the thousands of resident children. How could self-respecting architects design buildings so out of touch with human needs? “You are most distinguished by your thunderous silence and your complete irrelevance,” he said to the American architects of the late ’60s. “They heard this and thought, oh my goodness, he’s right, we should actually be doing something,” explains Aeschbacher. This awareness dovetailed with the rise of the United States Department of Housing and Urban Development (HUD), which became a cabinet-level agency in the late 1960s. That meant a centralization of federal dollars for local design projects. 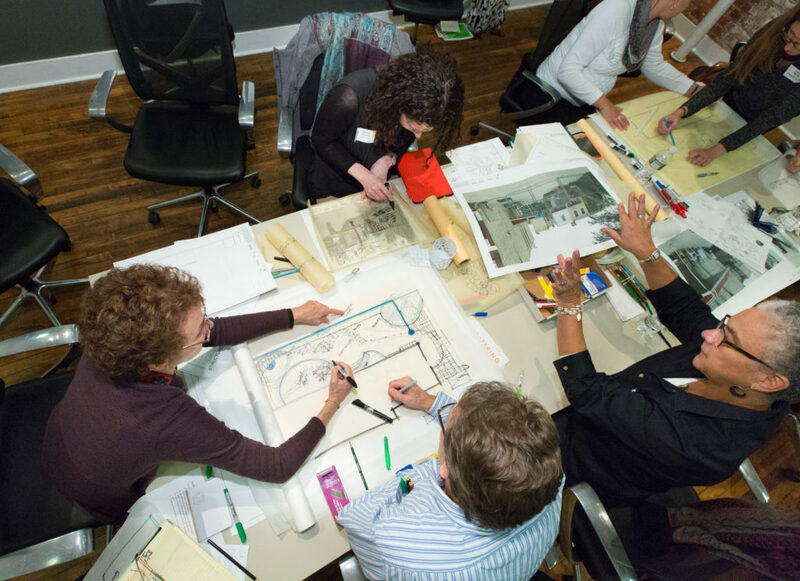 This year, the nationwide Association for Community Design will celebrate its 40th anniversary. 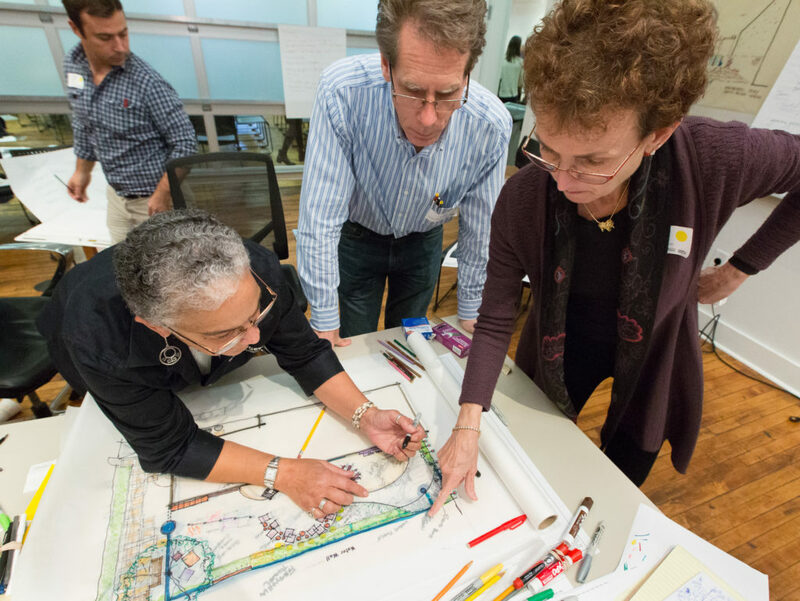 Design centers now dot the U.S. map, and we have three: Philadelphia’s Community Design Collaborative, Penn State’s Hamer Center for Community Design in State College and Design Center Pittsburgh. So what do these institutions do? “The Collaborative provides pro bono preliminary design services for nonprofit organizations that are doing some kind of development work,” explains Heidi Segall Levy, The Collaborative’s design services director. The organization targets “a gap in funding” trapping nonprofits that need facility upgrades. Before they’ll fund improvements, donors want to see plans and cost estimates — but that costs money. It may be invisible by the time you get to the ribbon-cutting, but according to Levy, “pre-development” makes up the first 15 percent of the process. The Collaborative helps match these nonprofits with individuals and firms who can be of service. The mission is similar in Pittsburgh. Pennsylvania’s design centers are good examples of two of the main types nationwide. Some — like those in Pittsburgh and Philadelphia — are stand-alone nonprofits. The Hamer Center falls into another category: university-based community design centers. Founded in 1999, its work and mission are continually evolving. According to Aeschbacher, these higher ed-supported centers “are always creatures of their curriculum,” and they invest student and faculty skills in studies on community development, the built environment, natural resources and conservation. Aeschbacher came to Penn State from Los Angeles to helm Hamer from 2004 to 2009, and now guides work there as an associate professor with joint appointments in architecture and landscape architecture. He believes that Pennsylvania helped launch the community design center movement even before the rise of HUD and Young’s call to action. The work of the modern design centers ranges widely. 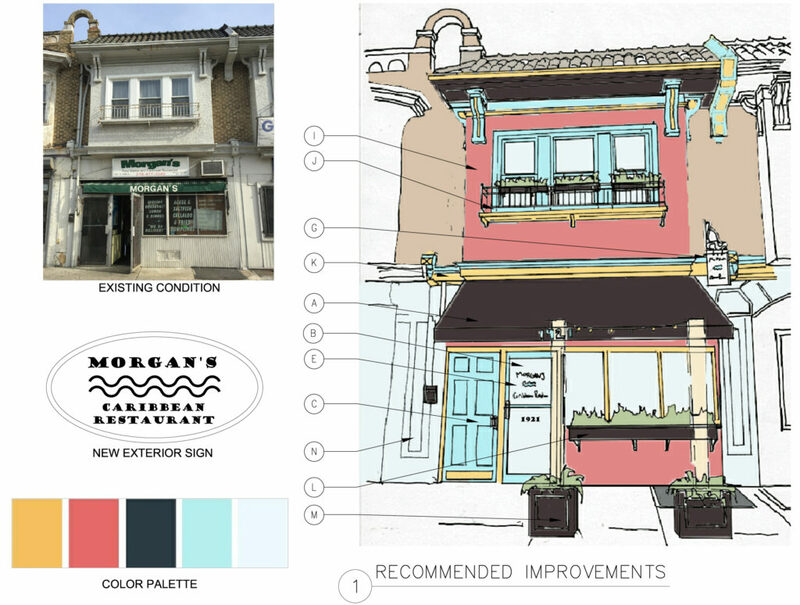 In 2016, the Collaborative wrapped up the latest iteration of its Infill Philadelphia program, running since 2006. These projects have targeted affordable housing, commercial corridors, industrial sites, food access and stormwater management. The latest round, an 18-month international design contest dubbed Play Space, provided a total of $30,000 in prize money for volunteer design firms. They produced exciting plans for three sites badly in need of upgrades: a recreation center, a school and a library. In Pittsburgh, the project that stands out to Koch is 2015’s Centre Avenue Corridor Redevelopment and Design Plan in the Hill District, a major vision for an iconic commercial and residential corridor. The Great Migration transformed the Hill District — historically an immigrant community — into a vibrant center of African-African life (it was the birthplace of playwright August Wilson and a fount for jazz), but massive displacement and redevelopment in the 1950s led to rampant poverty and disintegration of the corridor. Things may be changing though, especially with a new hockey arena in the lower Hill District. 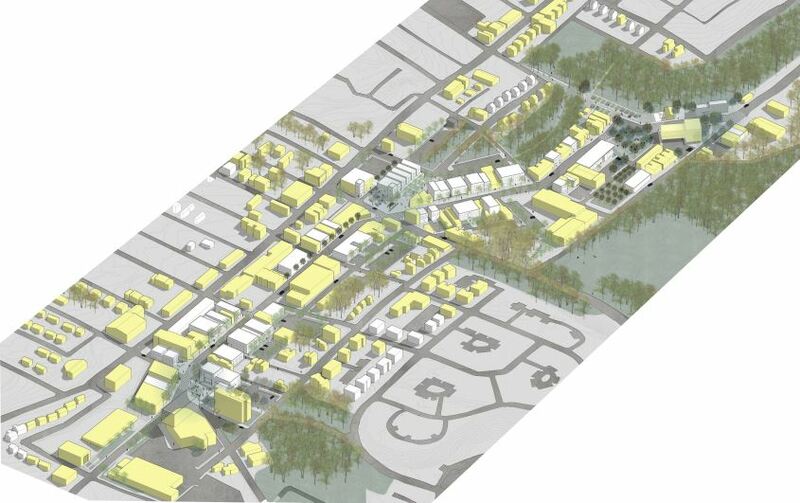 The Centre Avenue plan was administered via the Design Center’s Design Fund Program. In 2014, a standout Hamer Center project produced Marcellus by Design, a study on the impacts of natural gas drilling in north-central Pennsylvania’s Tioga County. In lieu of urban visioning and specific development projects, the Hamer Center digs deep into questions of how we coexist with the modern natural landscape. 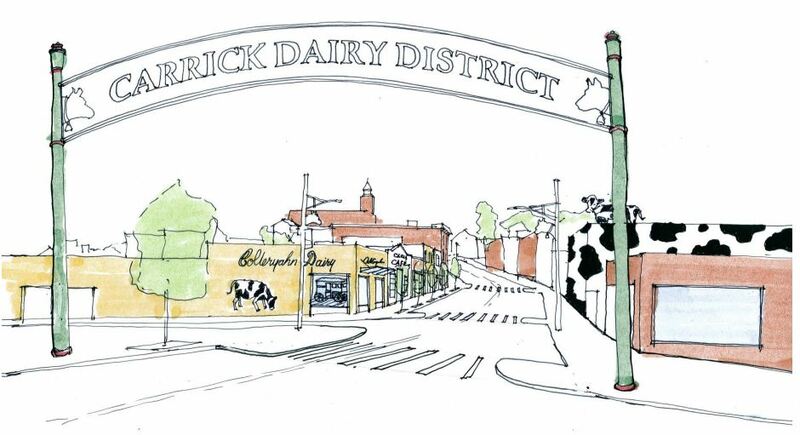 Projects like Marcellus by Design wrestle with social, environmental and economic questions, spanning energy, food and historic sites. 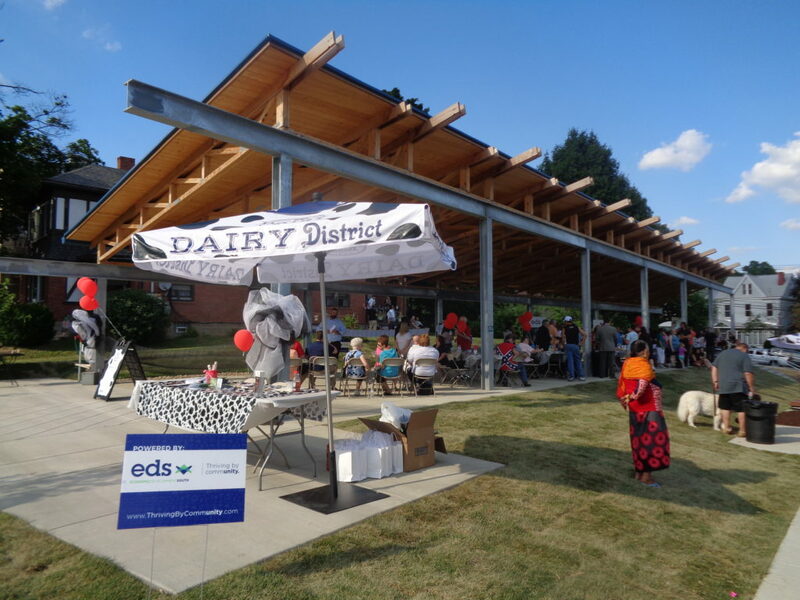 With in-depth looks at the lives and needs of residents and workers, the project developed locals’ capacity to understand and explore the ongoing design, safety and preservation issues of Pennsylvania’s booming natural gas industry. Each Pennsylvania design center leader has a take on what “infrastructure” means today, and how we can better understand and develop it. Part of the trouble is that “people think of [infrastructure] like a basic need that can’t be exciting,” says Levy. But when you mix in community-engaged design, it’s another story, as with Philly’s revamped South Street Bridge. “It could’ve been rebuilt just replacing it the way it was,” but involving the community in the design process highlighted the need for a multi-modal pathway and new lighting. Koch would call that a good example of modern, community-integrated design. Good infrastructure is also about time, argues Levy: not waiting until “that emergency moment when you have to address it quickly,” as well as time “to include community, to go through a design process” that allows everyone to truly understand how that infrastructure will be used. For Koch, it’s also about building the capacity of communities to evaluate designers and developers for themselves, and making sure community voices come before dollars in any development timeline: “Once money’s on the table, that dialogue becomes so much more difficult,” she says, versus creating a “common vision” in the pre-design process. That system includes jobs, public spaces and equitable access to parks, which in turn are tied to health and social capital.